That’s 40 seconds per month. If you’ve been at an energy conference in the past decade, you have heard the Accenture statistic that consumers spend about 6 minutes annually thinking about their electricity bill. Utilities that are trying to forge a better relationship with their customers to meet energy-efficiency mandates or build new service offerings will not be heartened by Accenture’s latest consumer survey. 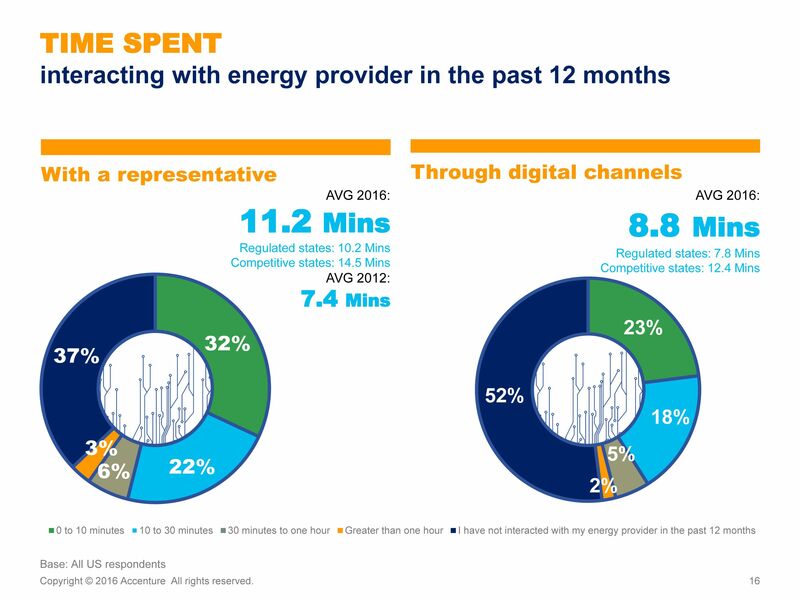 In 2016, the average customer of a regulated U.S. utility spent about 8 minutes interacting with their utility through digital channels and about 11 minutes with a representative. Half of all customers did not digitally interact with their energy provider at all. Compare that to Facebook, where the average U.S. user spends about 20 minutes per day on the website. 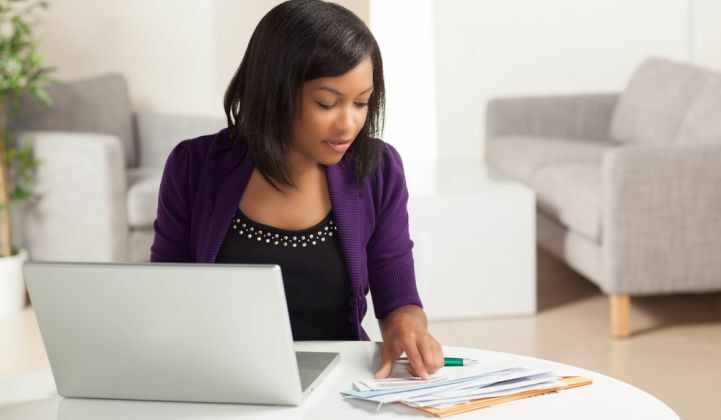 Perhaps a more apt comparison is online banking, where customers interact with their financial institution an average of 17 times per month, according to Accenture. Accenture focused on millennials in this year’s survey, and found that many energy providers are ignoring younger consumers at their own peril. But for traditional utilities that are less concerned with a generation of people who may not yet be paying their own utility bills, the survey should still be a wakeup call. Digital consumers of any age are more satisfied, and trust their energy provider more, than do those who do not interact with their utility online. The tech-savvy customer, a customer class that is increasingly becoming the default, expects a seamless experience across all digital channels, a challenge that the utility industry is just beginning to address. More than ever, customers are willing to walk away from their utility if they are offered an alternative. 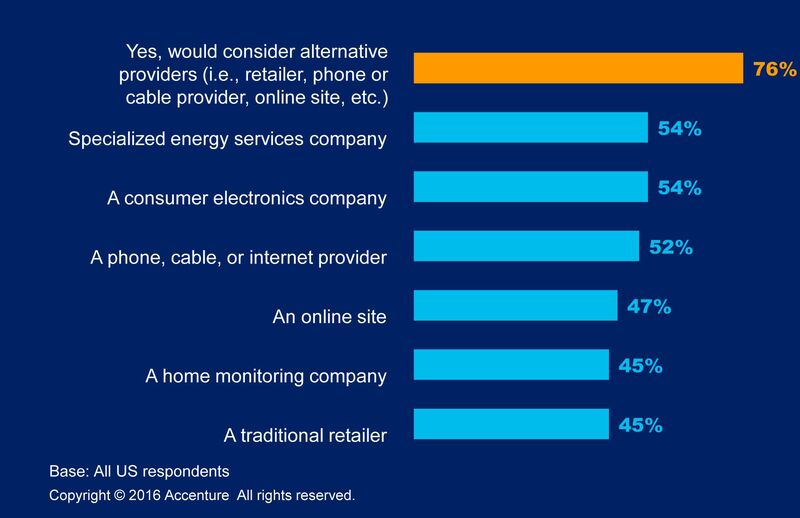 Three-quarters of survey respondents said they would consider an alternative provider for electricity, such as a cable provider or phone company. FIGURE: Survey Responses -- "Would You Consider Purchasing Electricity, Energy-Efficient products, and/or Related Services From the Following Providers?" As a consulting firm, Accenture puts a positive spin on its findings, couching it as an opportunity for utilities to adapt. “Incumbent utilities have considerable resources to fight off challengers, including invested capital, strong brands and customer trust, a broad range of established capabilities, and decades of institutional know-how and data,” Tony Masella, managing director of Accenture Energy Consumer Services, said in a statement. Accenture encourages utilities to become commodity-centric providers or to enable energy marketplaces, approaches that both regulated and deregulated energy companies are exploring. However, transitioning into either of those types of businesses would require an online relationship with customers that involves far more than 8 minutes per year of interaction, a hurdle that utilities have barely been able to breach in the past decade.